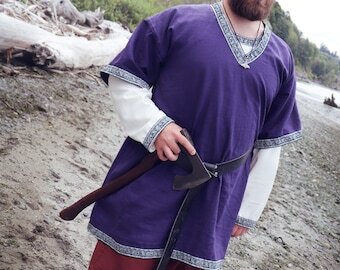 Any good Viking man knows that layering is not only fashionable; it's practical! 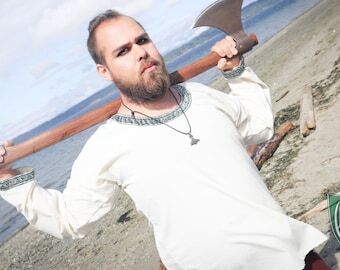 Stay warm during those cold months with an extra layer of Viking Over Tunic. These tunics have large gores built into the sides to give plenty of room to move, ensuring lots of ease with fighting and drinking. 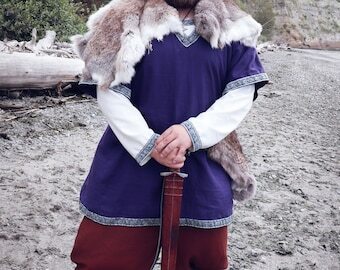 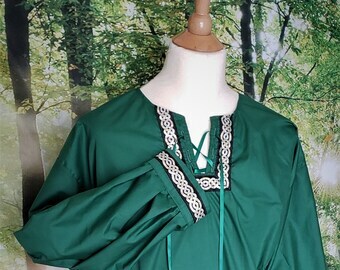 The sleeves, bottom hem, and neck are adorned with hunter and silver "running dog" viking trim. 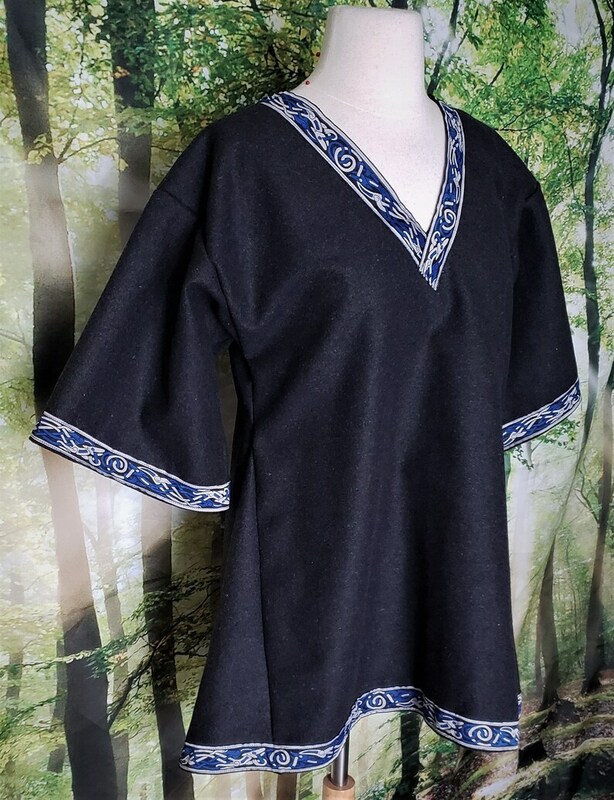 This sale is for the Over Tunic only. 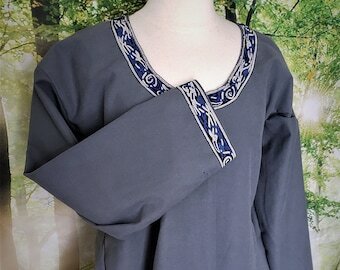 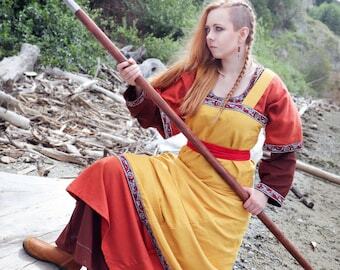 Model is wearing the Viking Over Tunic in Navy Linen with a Viking Under Tunic, Viking Pants, and Leg Wraps. 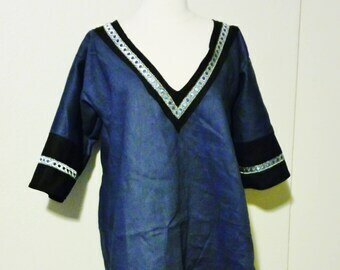 Check out the rest of my store for those items, or buy them as a set for a great discount!